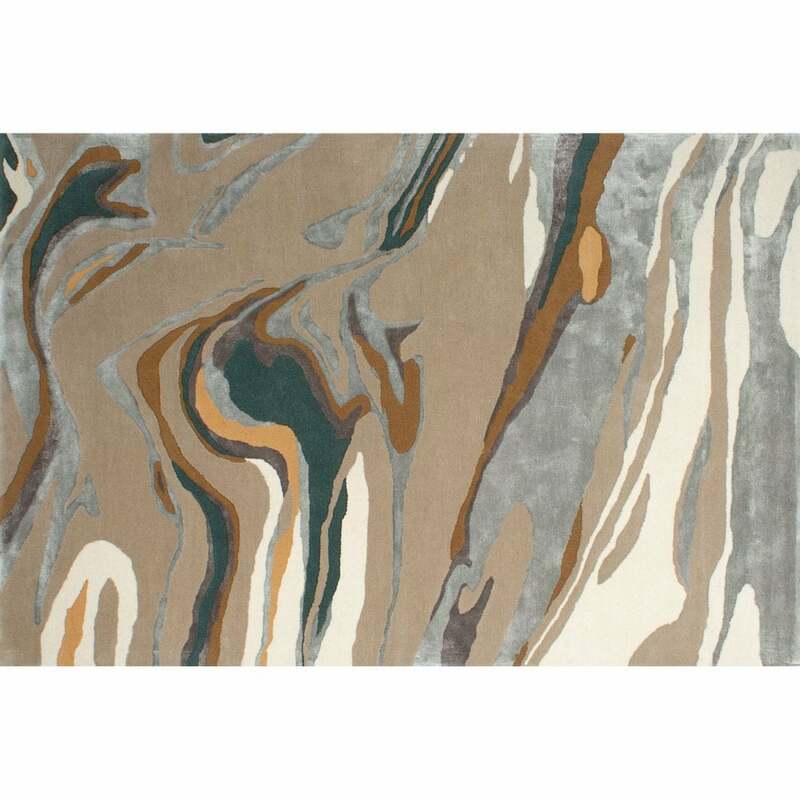 Waves of colour intermingle with artistic elegance to form the Fiction Rug by Serge Lesage. Inspired by the striking shapes and colours found in mineral deposits, the alternate use of wool and silk gives a textural depth to the pattern. Hand-tufted by skilled artisans, the combination of mineral grey, forest green and sand coloured threads bring a sense of nature to the design. Crafted from the finest New Zealand Wool, Fiction has a luxuriously soft fill that will add a touch of decadence to any interior scheme. Style with mid-century modern furniture for a retro look that exudes vintage sophistication. Bespoke sizes are available upon request. Make an enquiry for more information.